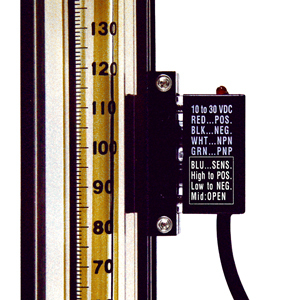 Model S single tube flow meters are similar to P meters in design, employing the same interchangeable flow tubes, valves, and accessories. Likewise they may be panel or bench mounted. The primary advantage of the S meter is convenience in applications, where frequent changing of tubes in meter cases is desired. An example is when several flow tubes are used in conjunction with a single meter case, or when because of the nature of the fluid, periodic cleaning necessitates disassembly. Aalborg’s exclusive TUBELOK™ design facilitates simple installation and replacement of tubes in mounting cases. As a result of the "non-rotating” adapter feature, glass flow tubes are prevented from turning during the tightening phase of the assembly procedure. Meters are available with built-in needle valves (CV™), high precision metering valves (MFV™) with “non-rising stems”, or with no valves. The higher cost of MFV™ valves is justified whenever high sensitivity control and resolution are desirable particularly in conjunction with metering tubes of very low flowrates. 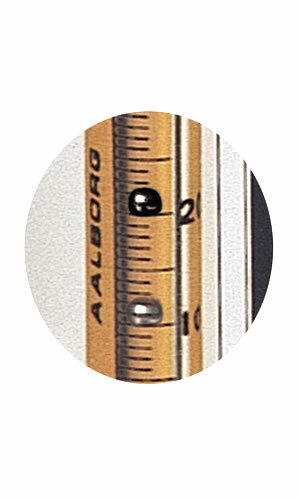 Generally, for gas metering it is recommended that valves are positioned at inlets (bottom) for liquids valves may be positioned either at inlets or outlets (top). For vacuum services, valves must be mounted at outlets. If unspecified at the time of ordering, meters will be shipped with valves mounted at the inlets. 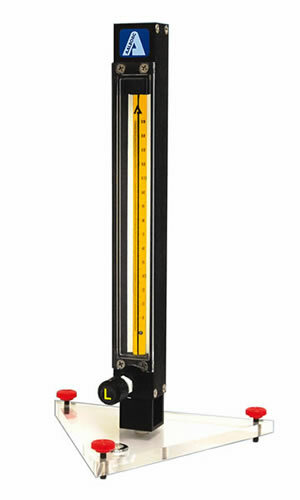 model S - Aluminum, Brass or 316 Stainless Steel rotameter catalog page(s).